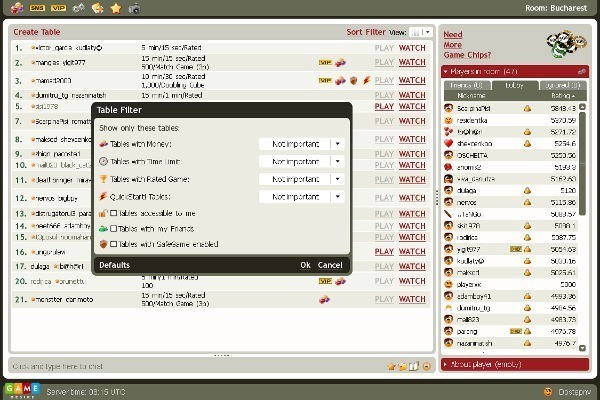 The chat allows players to communicate via the net. 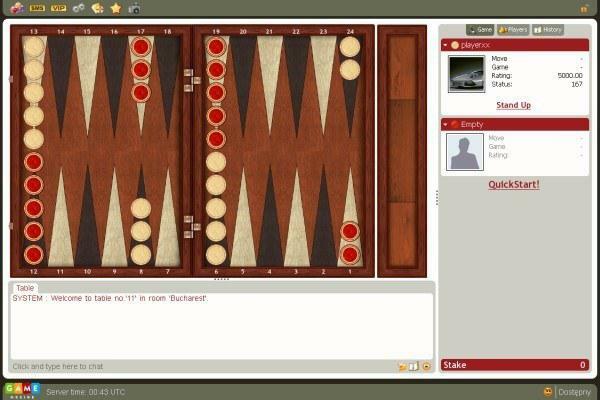 The chat window is situated under the table picture. There is a blockade in the system that makes it impossible for the players to use swearwords. Each vulgar word will be presented as a different gentler one or asterisks will replace the majority of the letters, e.g. f**k.
If a player wishes to send a message to a particular person and it is meant for this person only, he can do it by typing in /a player's name message, e.g. /Tom, hi! #get version The command informs about the plug-in version downloaded from the server. If you wish to inform us about the problems with our games, remember to quote the version number. #ignore NICK The command lets a player avoid getting correspondence from a particular person. NICK is the nickname of the person to be ignored. #noignore NICK It switches off the previous one. #warning NICK MSG It lets a player type in a warning concerning the player nicknamed (NICK). 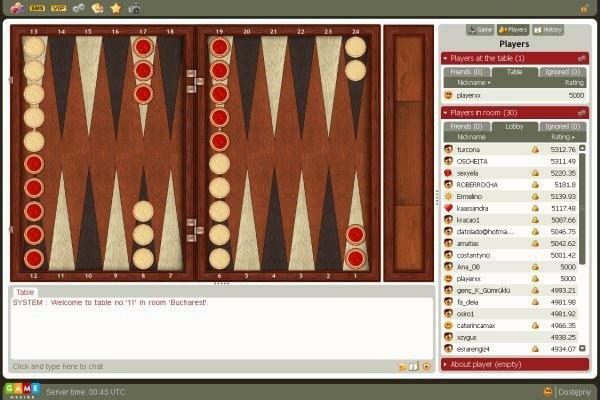 It is displayed the moment that the player nicknamed is sitting at the table or when a player is sitting at the table the player nicknamed is playing at or when the player nicknamed invites a player to the table. The waning may contain any information, e.g. This player is very friendly. #nowarning NICK It switches off the previous one. #reply NICK TEXT If the player nicknamed sends us a private message, the TEXT, will be sent back to them and it may contain any information, e.g. Nice to hear from you, Tom. #noreply NICK It switches off the previous one. #replyall TEXT It replies to everyone who will send us a private message by sending a TEXT to its sender, which may contain any information, e.g. I will be back in some time because I am eating dinner. #noreplyall It switches off the previous one. #warningnone It switches off the #warning for everyone included. #replynone It switches off #reply for everyone included. #ignorenone It switches off #ignore for everyone included. #showreply It displays the list of all the players to be sent a TEXT. #showwarning It displays the list of all the players to be sent a warning. #showignore It displays the list of all the players to be ignored. #tips It switches on displaying tips in various places, e.g. the player's list. #notips It switches off the previous command. #emoticones Entering a sequence of signs displays a picture (see the chart above). #noemoticones It switches off the previous command. #define Lets you define sequences of characters that will be automatically converted in the chat line, eg. #define :) <19:42:3> lets you replace the basic emoticon, all defined sequences are saved and are common for all games. #undefineall Removes all defined sequences. It is also possible to combine pictures to make complicated emoticons, by using the following sequence of characters: <12:9>. The numbers separated by colon define eyes and mouth, and you can also define hair style by using third numerical parameter like this: <12:9:2>.